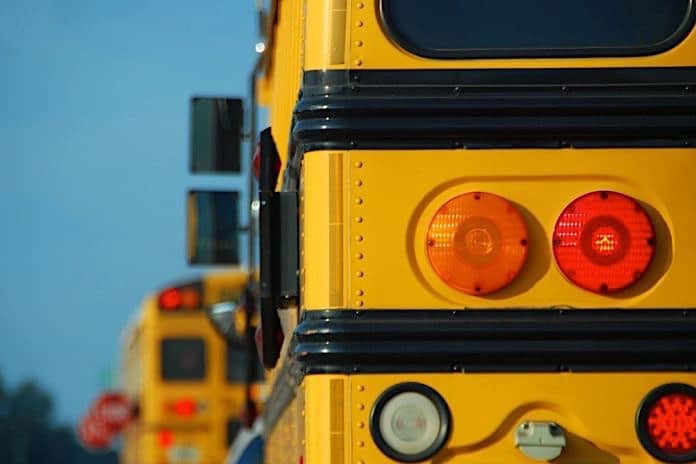 After enacting some of the nation’s toughest diesel emissions standards, the California Air Resources Board (CARB) has announced $5.5 million in first-round grants for the Lower-Emissions School Bus Program and $1.4 million to replace remaining pre-1977 buses. According to CARB, the most recent round grants will affect 123 school buses in 41 school districts. The state currently has approximately 24,000 total school buses in service. To date, the California clean school bus program has distributed over $100 million to replace 600 of the oldest vehicles in the state and retrofit 1,000 school buses. Under new rules, beginning Jan. 1, 2011, all heavy-duty diesel vehicles, including school buses, must install diesel exhaust filters by 2014. Owners of trucks with engine models older than 2010 model year must replace their engines on a staggered scheduled between 2012 and 2022. CARB spokeswoman Mary Fricke said the replacement rule will only be extended to school buses that cannot be retrofitted with diesel emissions controls. Some of the $5.5 billion cost of outfitting and replacing some 400,000 heavy-duty vehicles in state and about 500,000 out-of-state vehicles doing business in California over the next 15 years will be offset by a number of grant funds, including those announced last week. CARB officials said there are at least three separate potential funding sources for diesel clean up, including the Proposition 1B Lower-Emissions School Bus funds, Carl Moyer program for early regulation compliance and AB 118 funds for low-cost truck loans. Collectively, these provide hundreds of millions of dollars in grant opportunities across several sectors. Fricke said the $200 million Proposition 1B fund, a 2006 bond that included Lower Emissions School Bus projects, should have $70 million to spend between June 2009 and 2011. School bus operators will also have access to AB 923 funds, which put $37 million for all clean air projects in 2006-2007 and the Small School District and County Office of Education Bus Replacement fund, which will make approximately $6 million available to the state’s smallest school districts in 2008-2009.